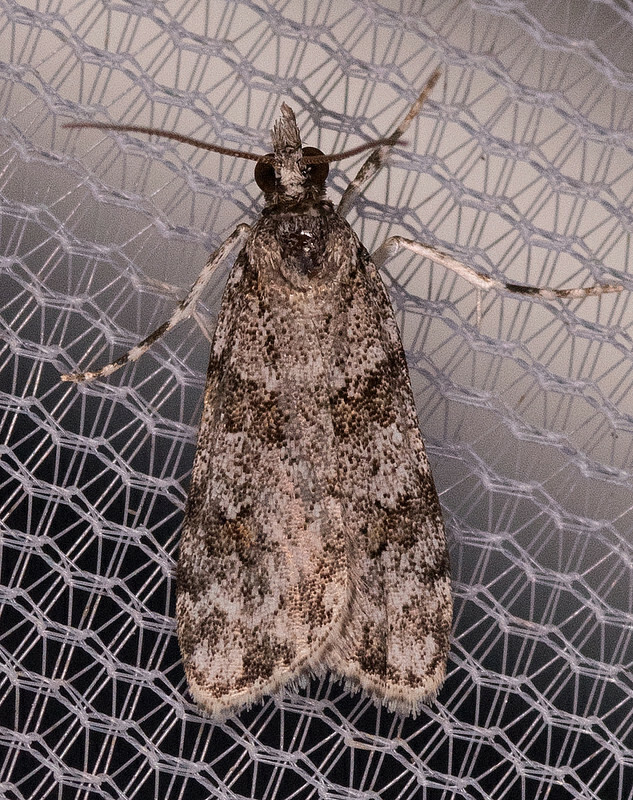 A Double-striped Scoparia Moth in Frederick Co., Maryland (10/3/2016). Verified by Roger Downer/BAMONA. Photo by Mark Etheridge.